When you’re a new user and you want to buy cannabis products, the large amount of available products could be confusing. One of the main causes of the confusion could be the difference between CBD oil and hemp oil. In that case we give you the answer in this article! The main difference between CBD oil and hemp oil concerns the plant species and the parts of the plant from which it’s coming from. 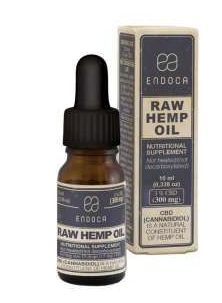 Hemp oil, also called hemp seed oil, is obtained from the pressing of cannabis seeds. The greasy oil in the seeds is extracted in that way. This oil is very nutritious and has many useful applications, but it isn’t medicinal. CBD oil, on the other hand, is usually extracted from the tops of the cannabis plant, by means of various extraction methods. Besides that it has more of a medicinal effect. However, CBD oil can also be extracted from the tops of industrial hemp. This can have a high CBD content and a lower concentration of THC. For the sake of clarity: hemp and cannabis technically belong to the same plant species: Cannabis sativa. Cannabis strains can be grown specifically to yield different amounts of cannabinoids. This results in unique genetics for various purposes. If you keep the two next to each other, beginners are unlikely to see the difference between a hemp species and a psychoactive cannabis variant. However, the chemical composition tells us much more. Cannabis contains the ingredient THC. This is the cannabinoid that causes the psychoactive effects, or the "high", when cannabis is smoked or evaporated. Now that you know more about the differences between CBD oil and hemp oil, it’s time to buy and try it! Take a look at all of our CBD products and choose your favourite type of of oil! If you have any further questions, don’t hesitate to contact us.